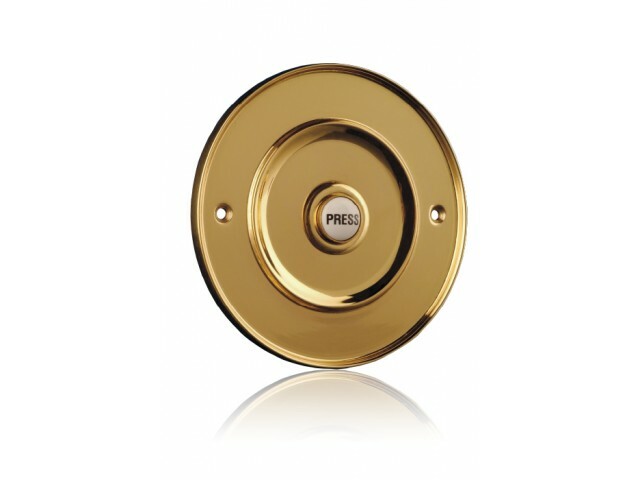 Traditional brass bell push with a porcelain button marked 'Press'. 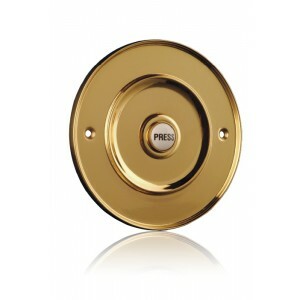 Flush mounted (requires a hole to be drilled in the wall to insert the barrel extending from the rear). This model has a protective lacquer.